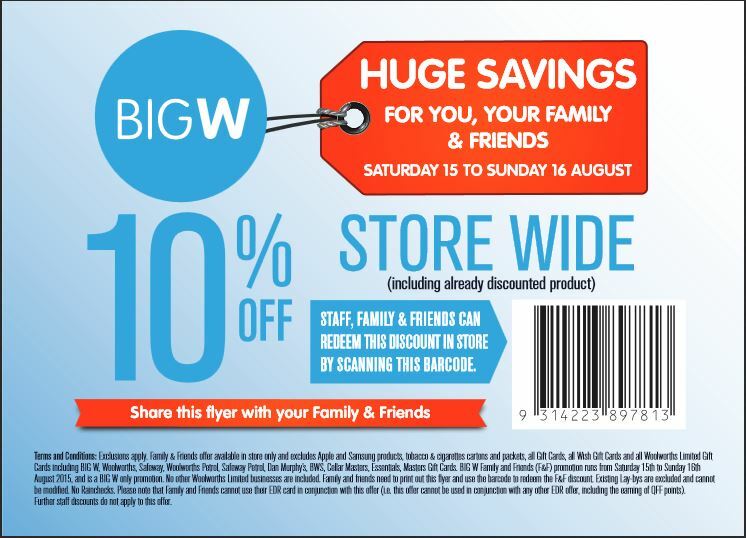 I’ve just seen this voucher to save 10%* at Big W this weekend only (15th & 16th), it says to share with friends and family, so that’s what I’m doing – Just print the image and take it along this weekend so the barcode can be scanned. Enjoy! * Excludes: Apple & Samsung products, Tobacco and Cigarette products & Gift Cards. If you require any further information on this please contact Big W direct.